Summa Group owners accused of one more embezzlement count | Russian Legal Information Agency (RAPSI). 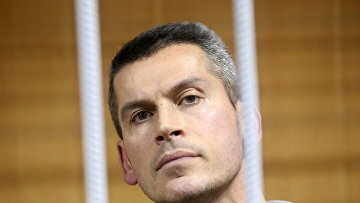 MOSCOW, November 1 (RAPSI) - Summa Group owner Ziyavudin Magomedov and his brother, the company’s co-owner Magomed Magomedov, who are charged with organizing a criminal gang and embezzlement, have been additionally accused by investigators of stealing 300 million rubles ($4.6 million), RAPSI reports Thursday from Moscow's Tverskoy District Court. Ziyavudin Magomedov and Magomed Magomedov are involved in the organization of a gang, embezzlement of 2.5 billion rubles (about $38 million at the current exchange rate) from the state budget and withdrawal of some of these assets abroad, investigators claim. Magomed Magomedov is also charged with illegal weapon possession. They have been detained along with ex-CEO of Intex construction company Arthur Maksidov.